One of the questions that I hear as a bankruptcy attorney is “Will I lose all of my property if I file Chapter 7 bankruptcy?” One reason for this fear may be that a Chapter 7 case is also known as a liquidation. This causes many people to believe that they will lose their home, vehicles and personal property if they seek relief under Chapter 7 of the Bankruptcy Code. However, this is not the correct interpretation of a Chapter 7 bankruptcy case. Because the fear of losing property may be one of the main reasons that people do not seek the advice of a bankruptcy attorney, we will address this issue first. Will I lose my property if I file a Chapter 7 bankruptcy? 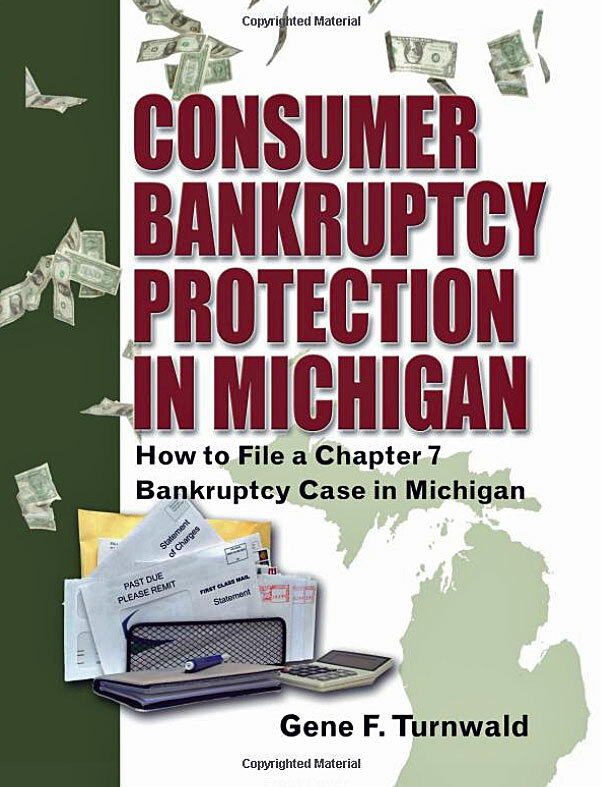 Let me begin by saying that almost all Chapter 7 bankruptcy cases filed in Michigan are considered “no asset” cases. In a no asset Chapter 7 case, the debtor does not lose any of his property because the property is protected by the bankruptcy exemptions claimed by the debtor. When a debtor files a bankruptcy case, he is permitted to claim a certain amount of equity in some of his property to protect that property from creditors and the court. In practical terms, this means that the debtor retains the property even though he is filing a Chapter 7 case. In the small percentage of cases where the debtor owns more property than he can protect with his bankruptcy exemptions, he has the choice of surrendering the property to the Chapter 7 Trustee or he may consider filing a Chapter 13 bankruptcy case to protect his property. Having the advice and guidance of an experienced bankruptcy attorney is essential when determining what is in the best interest of the debtor. Gene F. Turnwald, Attorney at Law, has over 21 years experience protecting debtor’s assets and negotiating with Chapter 7 Trustees to help debtors keep their property while solving their debt problems. What happens to my mortgage and my car loan in a Chapter 7 bankruptcy? This is another major concern of most individuals as they consider filing a Chapter 7 bankruptcy case. In a Chapter 7 bankruptcy case, any creditor that holds collateral as security for a loan is considered a secured debtor. Chapter 7 debtors have the option of retaining or surrendering the collateral. Therefore, if you want to keep your home or car, you must continue paying the regular monthly payments under the original contract with the creditor. However, you may also choose to surrender the collateral and “walk away” from the debt. If the creditor sells the collateral and does not obtain the full amount owed on the account, you will not be responsible for payment of the deficiency. In regard to household goods liens (i.e. finance companies), the debts of these secured creditors can be voided through the bankruptcy process. The debtor retains his household goods but the debt is discharged through his Chapter 7 bankruptcy. What happens when I file a Chapter 7 bankruptcy? In order to be eligible to file a Chapter 7 bankruptcy, you must meet the qualifications as set forth in the Chapter 7 Means Test. The means test is a mathematical formula whereby your gross income from all sources is compared to the median income for a family of your size in the area in which you reside. Your income for the past 6 months is annualized and compared to the annual median income levels as determined by the IRS guidelines. If your income is below the median income, you are eligible to file a Chapter 7 case. However, if your income is above the median level, your attorney will apply a second layer of the test to adjust for allowable living expenses to determine if you are eligible for a Chapter 7 case. Attorney Gene F. Turnwald has years of experience maximizing the allowed expenses to help debtors file a Chapter 7 case. Furthermore, in order to file a Chapter 7 bankruptcy, you must complete an approved credit counseling course. These courses are available in person, by telephone and online for your convenience. The cost is nominal and the course can be completed in less than two hours. Once your Chapter 7 bankruptcy case is filed, you will be assigned a Chapter 7 Trustee and a date will be set for your First Meeting of Creditors (sometimes referred to as the 341 Meeting). In most Chapter 7 cases, this is the only bankruptcy hearing you will attend. The hearing is conducted by the Chapter 7 Trustee, it lasts about five minutes and it is held approximately 30 days after the filing of your bankruptcy petition. The Trustee will ask you questions about your assets, income and expenses; however, he will be asking you questions about the same information you have already discussed with your attorney. In most Chapter 7 cases, you will receive your bankruptcy discharge and the case will be closed 60 days after the date of your 341 Meeting. In addition to ending creditor harassment and stopping debt collectors, the reason an individual files bankruptcy is to receive a bankruptcy discharge. Your Chapter 7 bankruptcy discharge will relieve you of the legal liability for the repayment of most unsecured debts. This includes credit cards, medical bills, personal loans and cash advances. It will also discharge your liability to repay secured debts; however, it does not void the lien meaning that you may voluntarily continue paying secured creditors to retain the collateral. A bankruptcy discharge typically does not discharge most taxes, student loans, alimony and child support. When you file a Chapter 7 bankruptcy, an automatic stay is imposed that prevents your creditors from continuing collection actions against you. This remains in effect through the end of your case when your discharge is granted. When combined, the automatic stay and a bankruptcy discharge stops creditor harassment, stops threatening telephone calls and puts an end to wage garnishments and lawsuits permanently. The automatic stay and your bankruptcy discharge are the probably the biggest advantages of filing a Chapter 7 case. Attorney Gene F. Turnwald understands the emotional stress that individuals experience from unpaid bills and financial problems. His experience and legal knowledge helps individuals find affordable solutions to their debt problems. Contact The Law Office of Gene F. Turnwald today for your free bankruptcy consultation to learn how filing a Chapter 7 bankruptcy can give you the fresh start that you need to recover and rebuild your financial future.